This is one more recent experience which I faced. 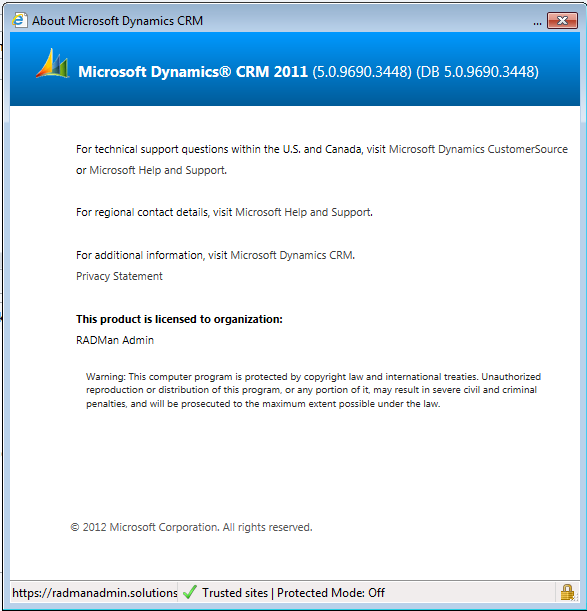 I upgraded CRM 4.0 Organization (which was originally upgraded from CRM 3.0) to CRM 2011. everything went fine with very minor hurdles. We tested the upgraded organization by login into that organization my domain credentials. We are able to get in into the site and everything works fine. Once after sending our confirmation email to our client, suddenly our client reported that they are not able to get in into the site even after providing their domain credentials. But earlier they never faced this issue with the CRM 4.0 Organization. Here is the error they are getting. Now we understood that the user mapping is not done properly at the time of CRM 2011 upgrade process. To fix our issue and to allow the user to login into the system we changed the OLD user record to point to other domain user. and we did the same exercise with the current user record also. Once after that we repointed back the existing user to use the same domain credentials. Now the user mapping is done properly for the user and is able to login into system. Here is my recent experience with the CCP Accelerator and portal performance. We have our CRM 2011 Organization and on top of that we installed the CCP accelerator to configure the Client care portal. We configured the 2011 Organization as IFD and connecting to that we have our regular Portal which is also a public secure website. Now we configured the Client Care portal on some other server apart from the CRM 2011 App server as we have to use the different security certificates for our regular portal and for the Client Care Portal. Starting the day when we configured the CCP on the other server, we are experiencing the performance of the site. It is taking tool long to load each and every page in the Client care portal. Now we concentrated to look for the actual root cause and found that the “Microsoft.IdentityModel.dll” should be there in system “Global Assembly Cache (GAC)” where the Client care portal site got configured. We placed this “Microsoft.IdentityModel.dll” in system “Global Assembly Cache (GAC)” and wow! the system started working great. Now after this system too fast, but on the next day I observed that there is Cache leak on this approach. And found the solution for this again with the web.config entries so that the changes which we are doing in CRM to reflect immediately on the Client care portal side. Here are the config entries which I updated. Today I am going to explain about how to find the CRM 2011 On-Premise build numbers. The Build list has been updated up to Update Rollup 13.